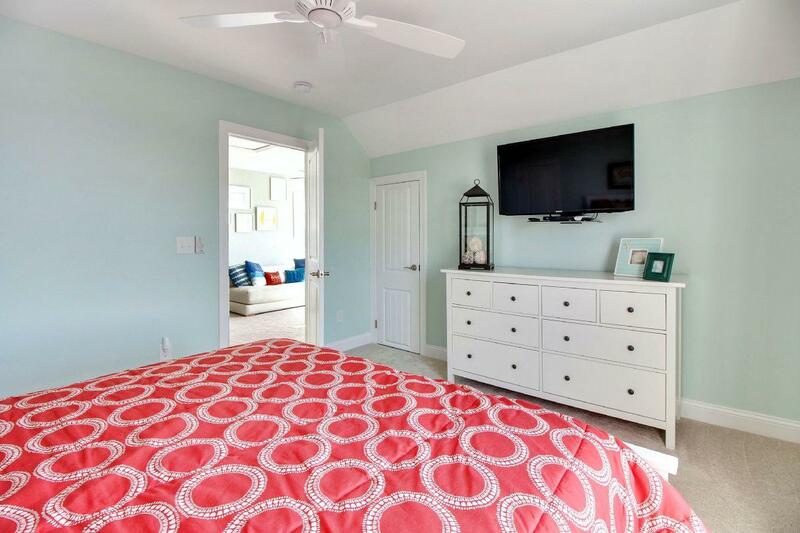 Recently built in 2015, “Conch’d Out”, is an oceanfront oasis that is sure to provide you and your family with a memorable and luxurious vacation! 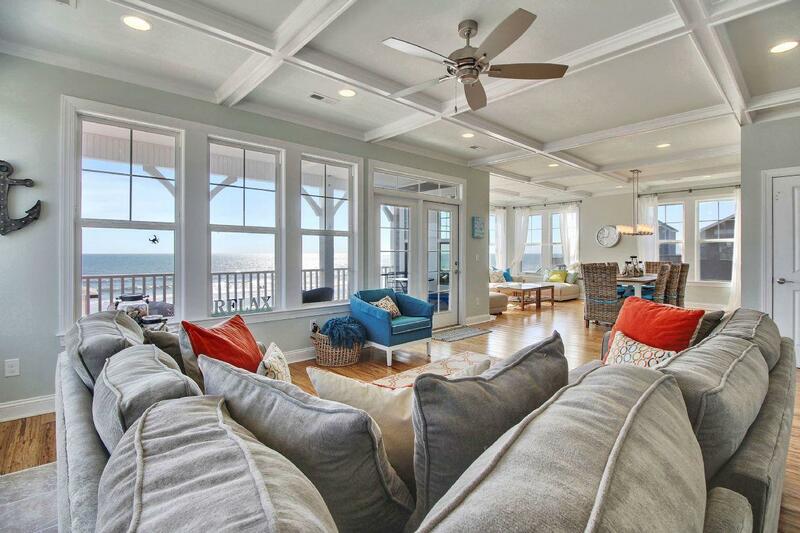 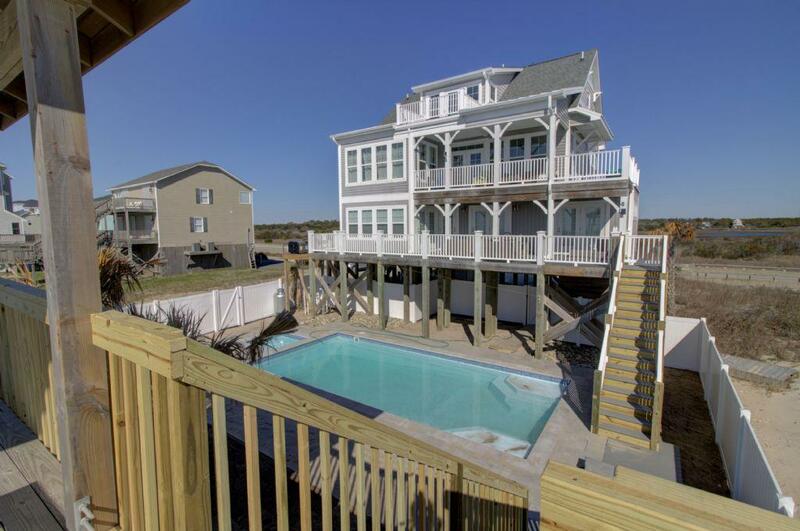 This retreat includes 6 bedrooms, 5 bathrooms, a private elevator and an open floor plan with over 3000 sq ft of oceanfront living. 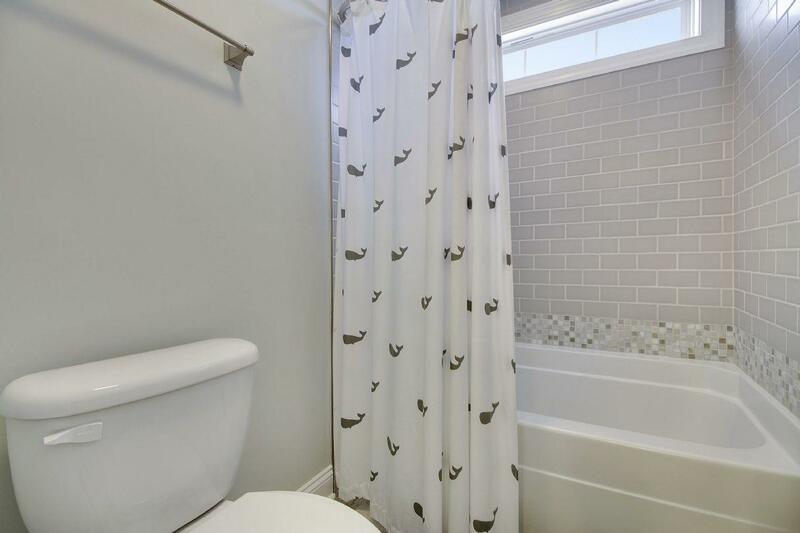 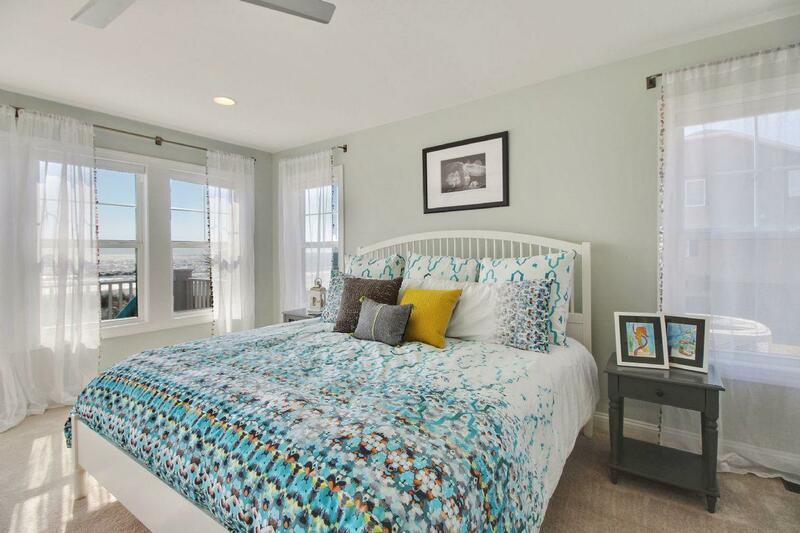 The home features many high-end touches and décor not usually found in rental homes. 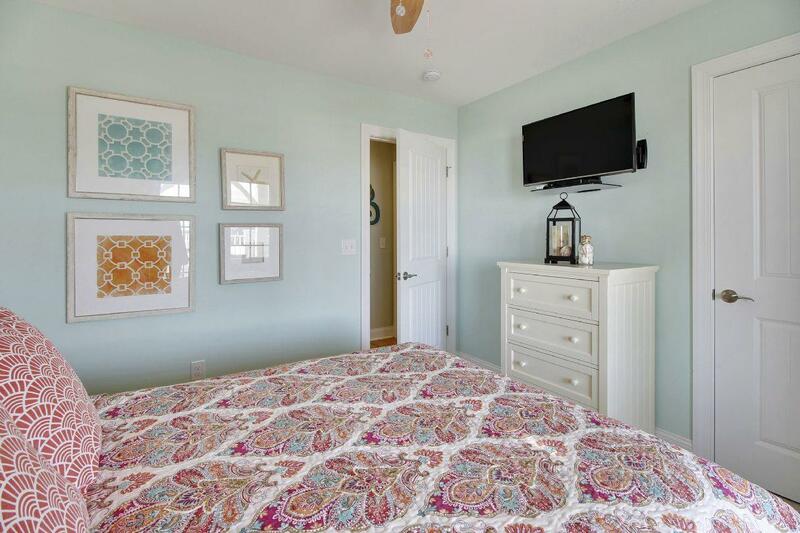 Each room is nicely appointed and every bedroom is equipped with a Flat Screen TV. 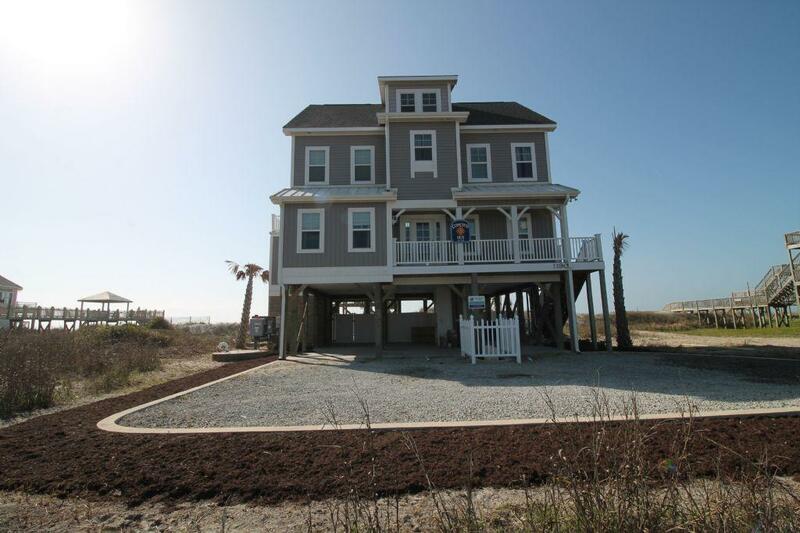 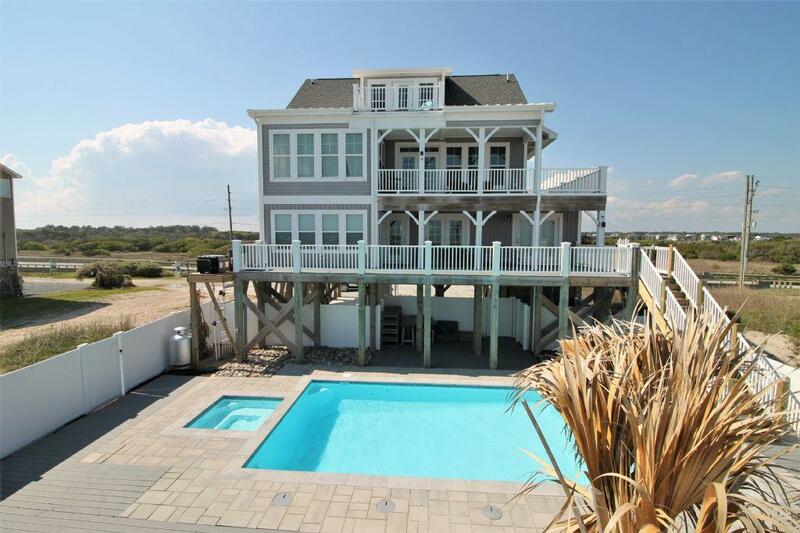 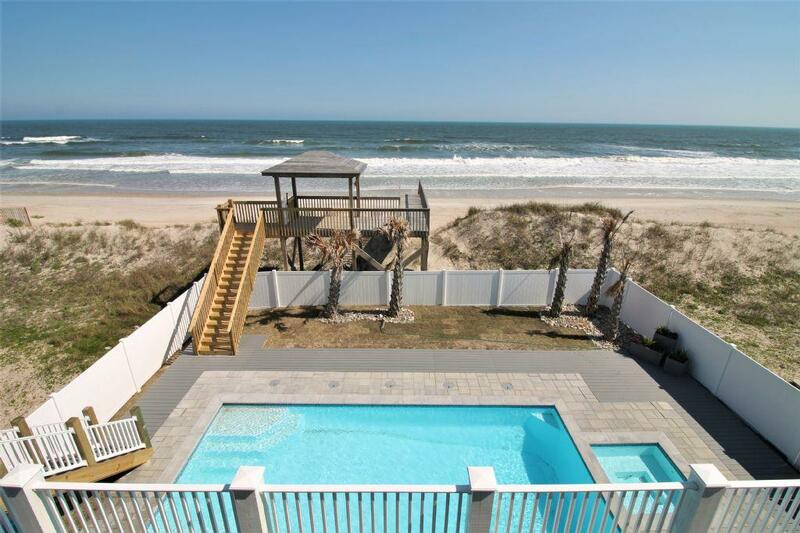 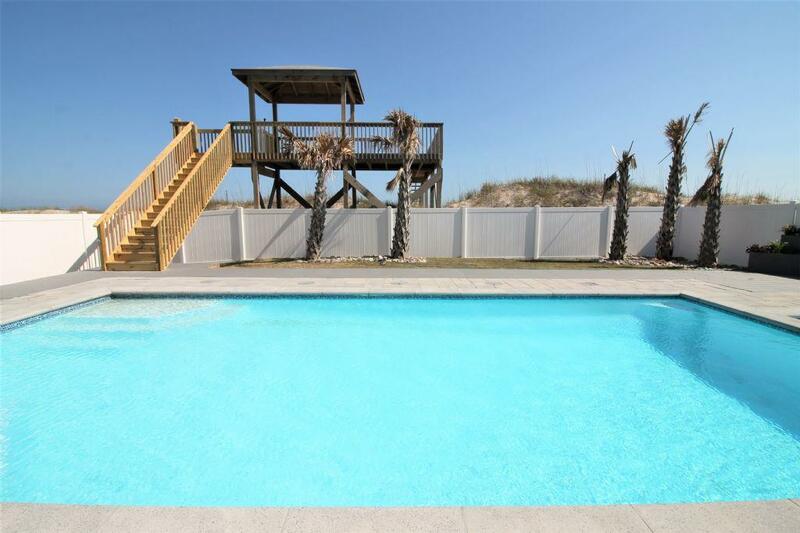 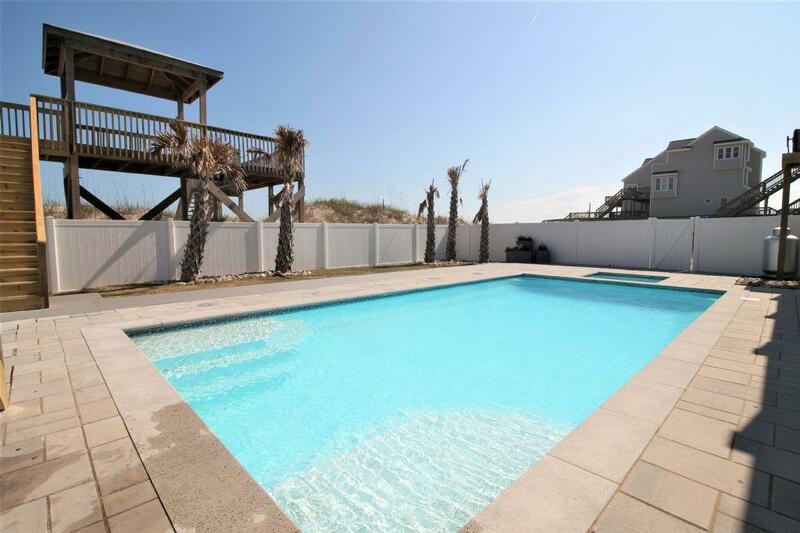 Upon entering the house, the lower level has 4 bedrooms, 3 baths, a washer and dryer, and access to the expansive oceanfront deck. 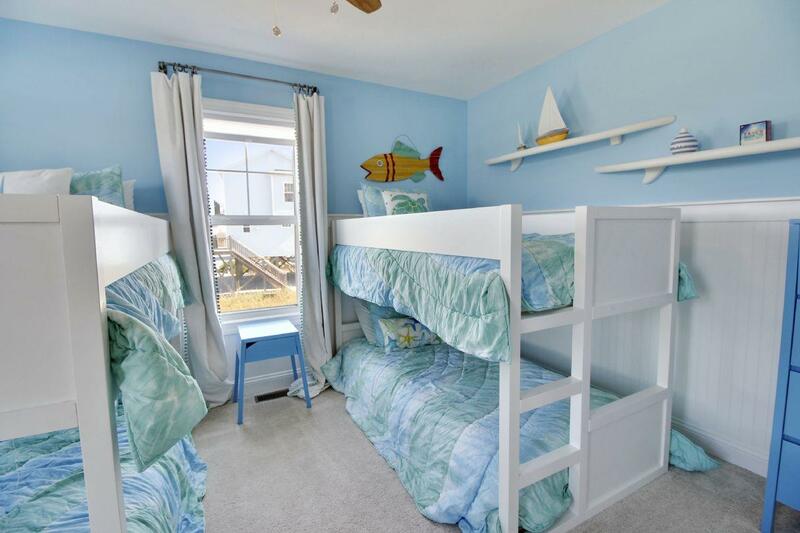 Bedroom 1 is perfect for the kids with two twin bunk beds with a flat screen TV. 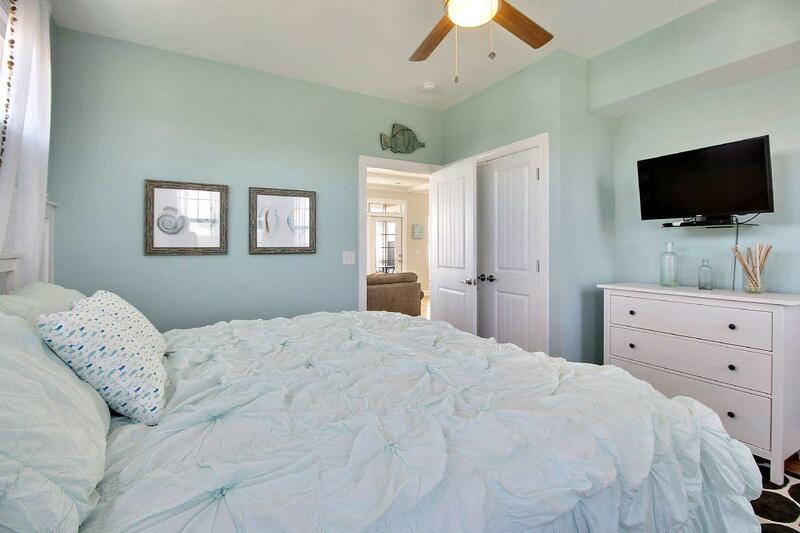 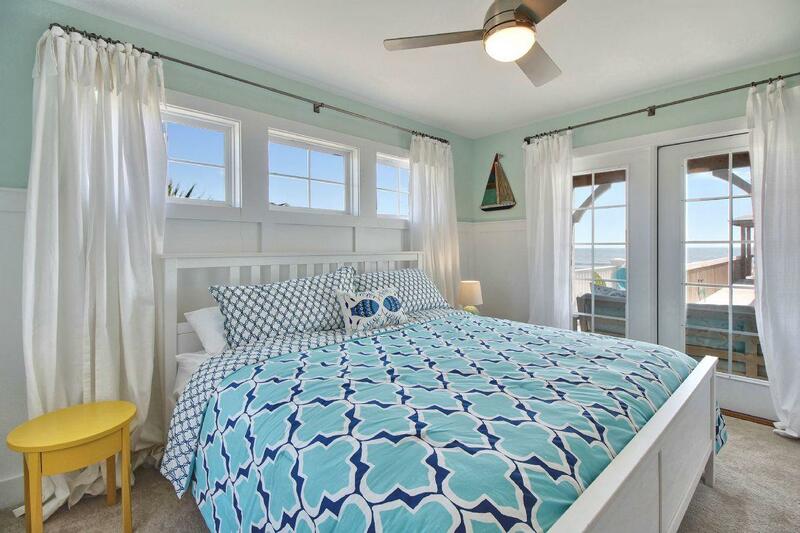 Bedroom 2 features a king bed, flat screen TV and access to the oceanfront deck. 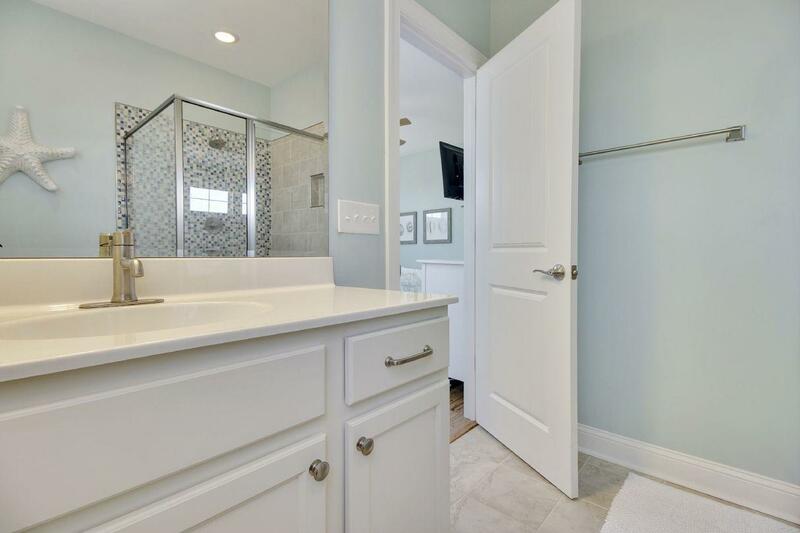 There is a full bath across the hall from bedroom 2 & 3. 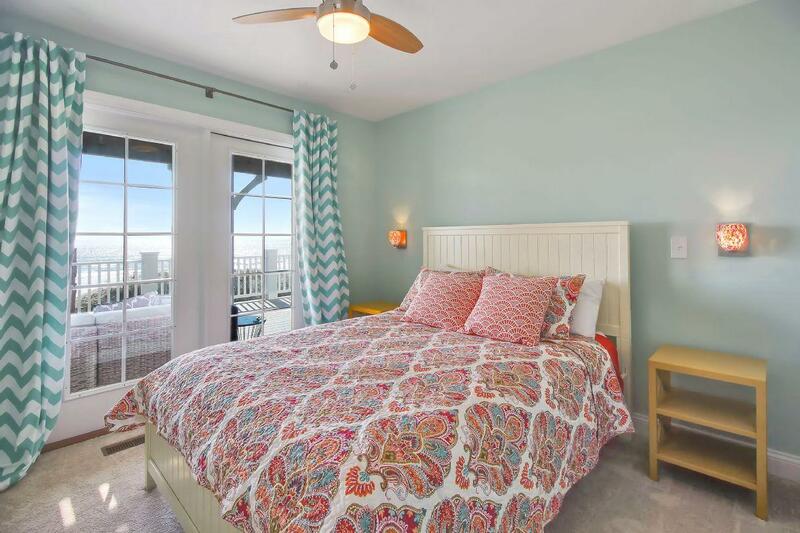 Bedroom 3 has a queen bed, flat screen TV and access to the oceanfront deck. 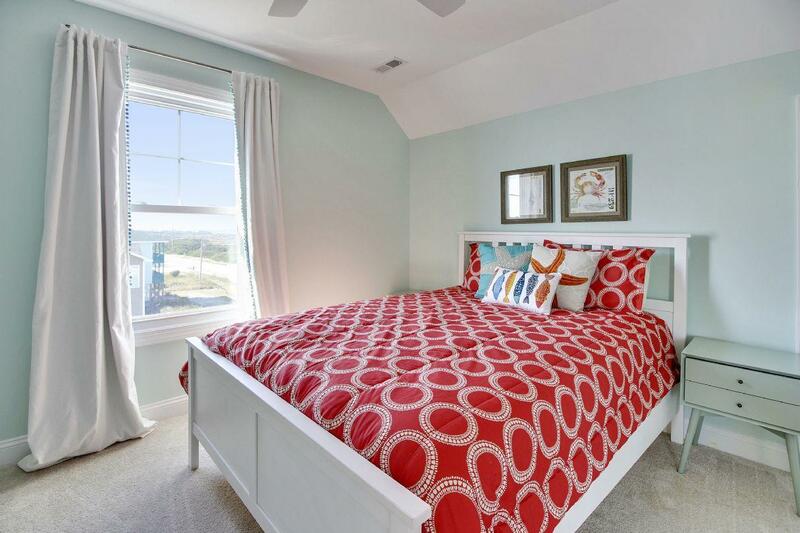 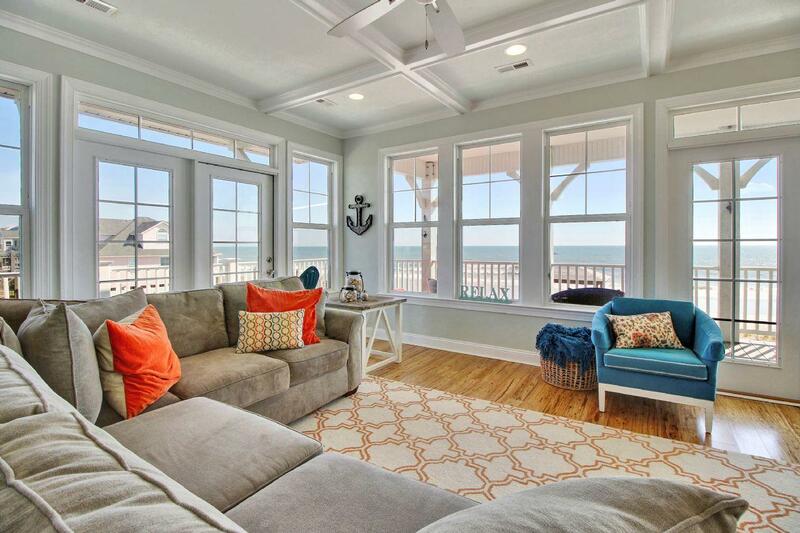 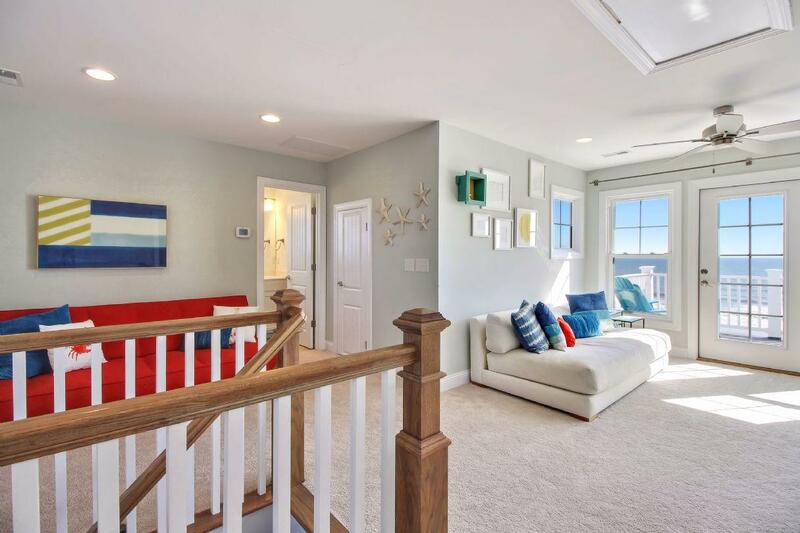 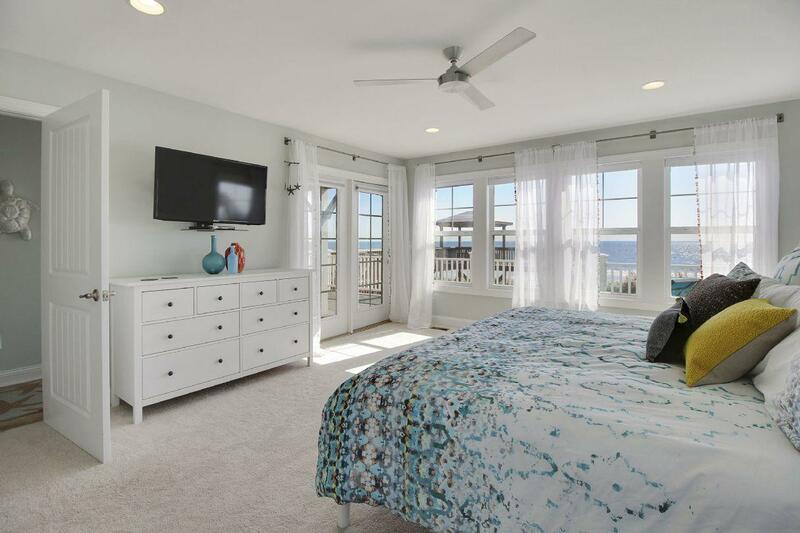 There is also a Master bedroom on the lower level that features a king bed, walk-in closet, large master bath, a flat screen TV and french doors leading to the oceanfront deck. 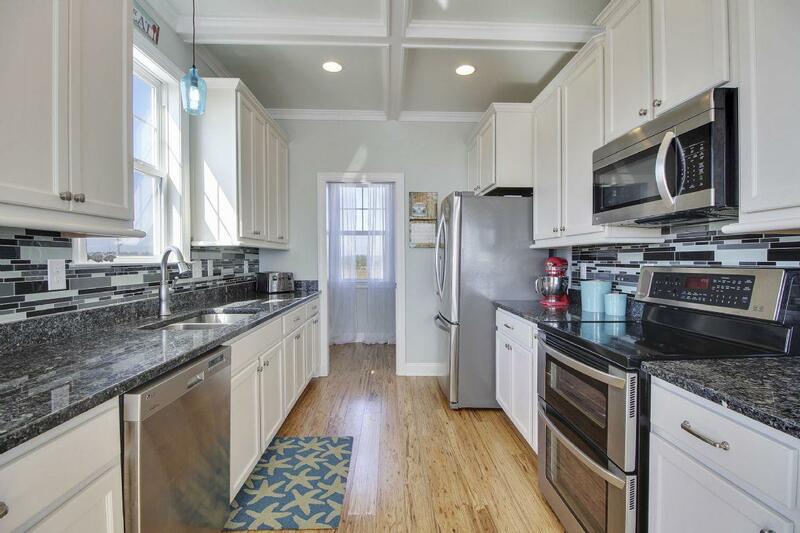 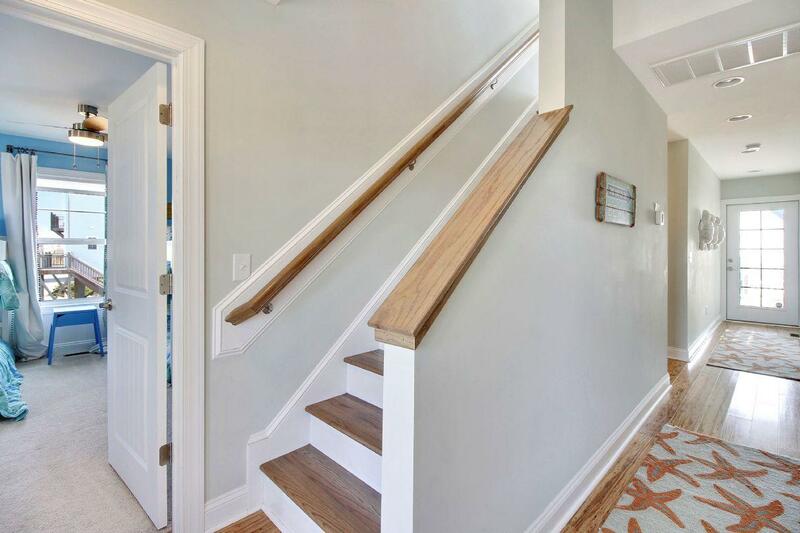 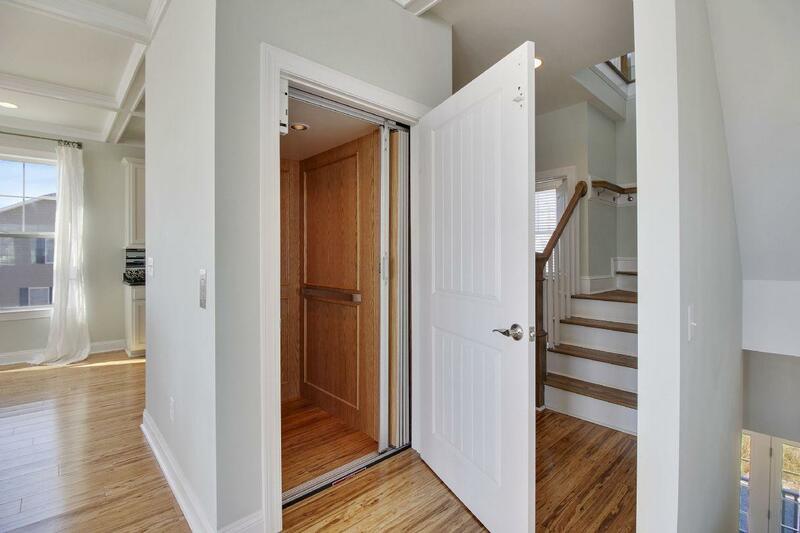 Take the elevator up to the main level where you’ll find an open floor plan with 2 living areas, a rustic dining table, galley kitchen with stainless steel appliances and a walk-in pantry, a half bath and another master suite. 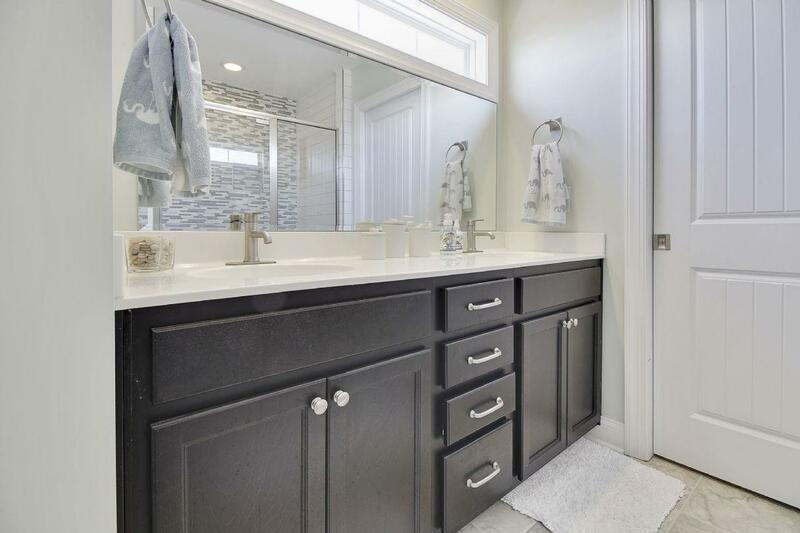 The main level master suite features a king bed, flat screen TV and a large en-suite bath with a custom tile shower and full glass enclosure. 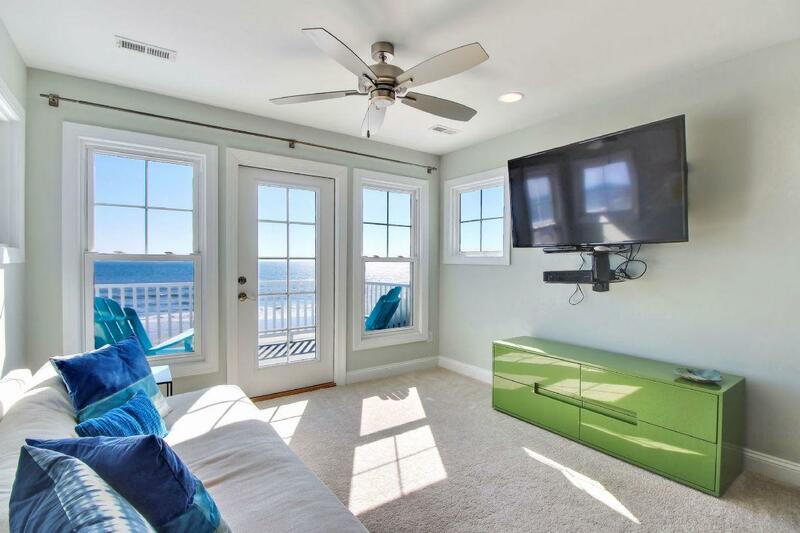 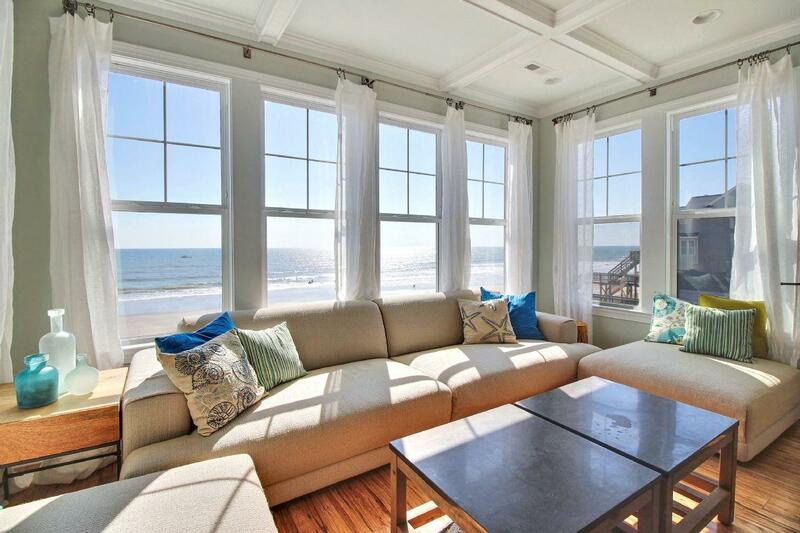 Level 3/Loft has another living area with a flat-screen TV, couch, futon and oceanfront balcony. 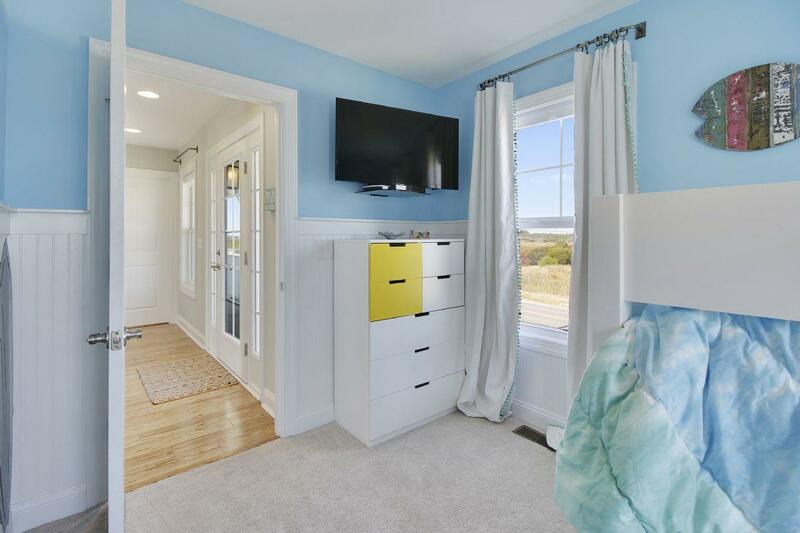 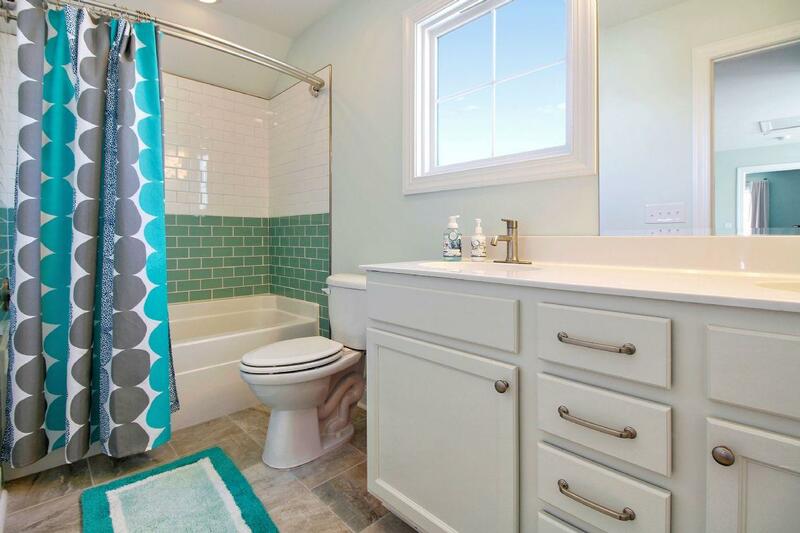 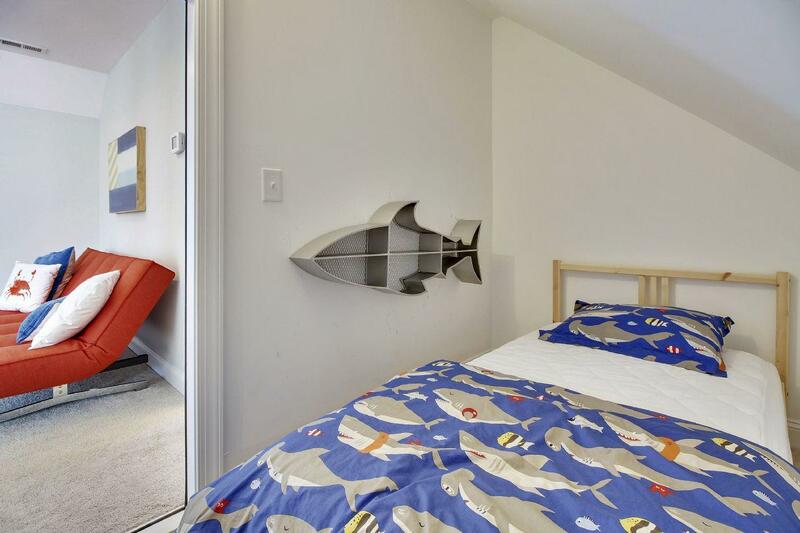 This floor also has a bedroom with a queen bed, a kid’s room with a double bed and a full bathroom with a tub/shower combo. 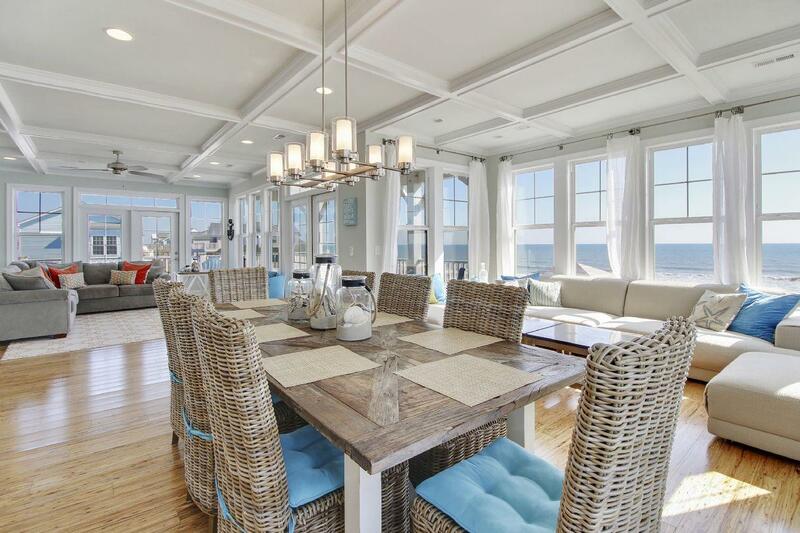 You can truly live and entertain outdoors with this home. 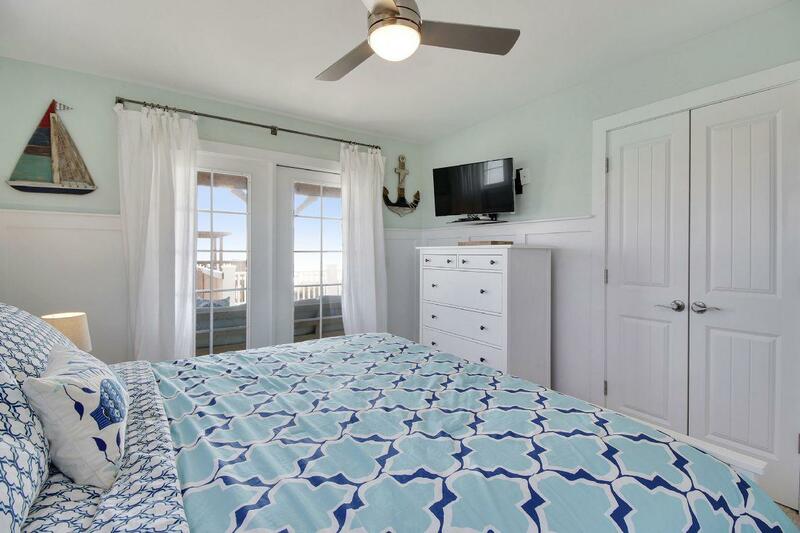 The massive oceanfront decks are beautifully furnished and lead out to the oceanfront gazebo with outdoor dining for six. 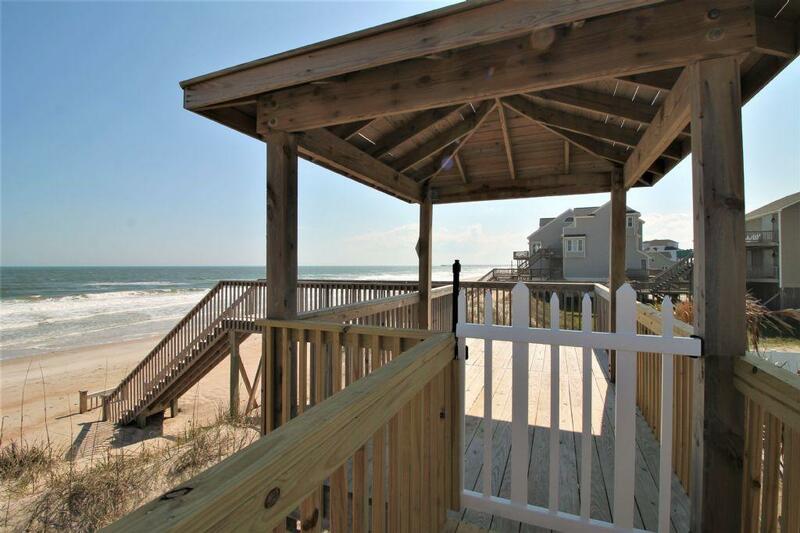 Beyond the gazebo is a private beach access, where you’ll be just steps away from the sand and water.